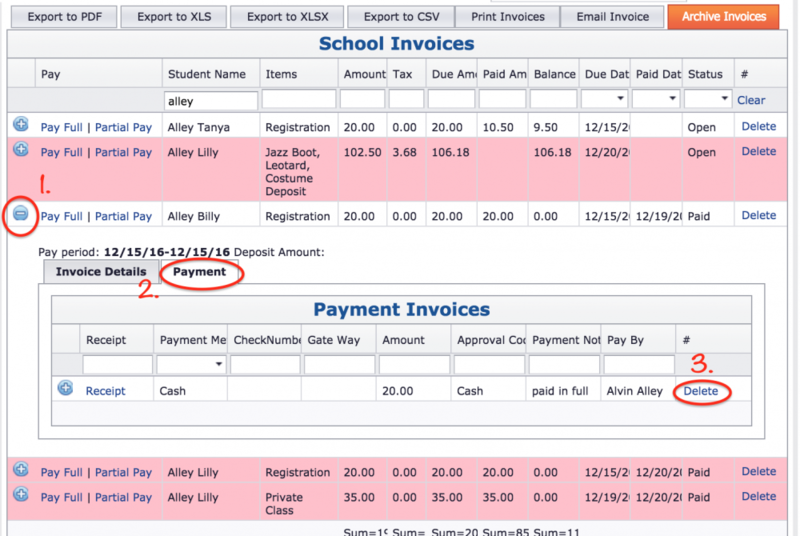 GO to View/Pay Invoice, and locate the invoice. Simply hit delete to the right of the selected invoice. This removes the invoice in entirety. An invoice can not be deleted if any payments were made against it. You would first have to delete all payments prior to deleting the invoice. *If you have the auto-pay feature activated, the payment must first be deleted from the payment scheduler before it can be deleted off the invoice.